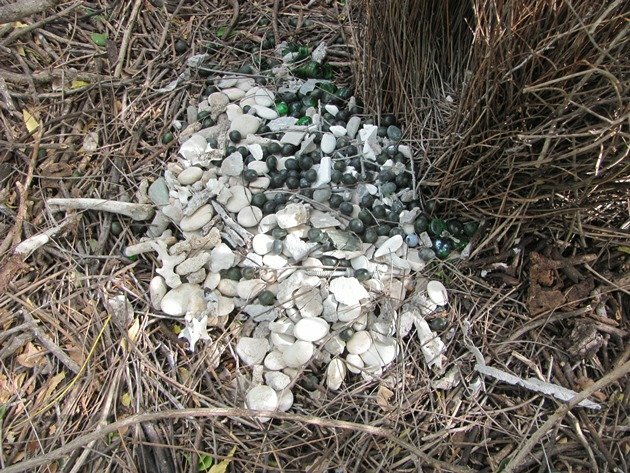 The Great Bowerbirds around Broome have been busy reconstructing their bowers. These stick constructions are designed to attract female birds and several male birds will work together on the construction. 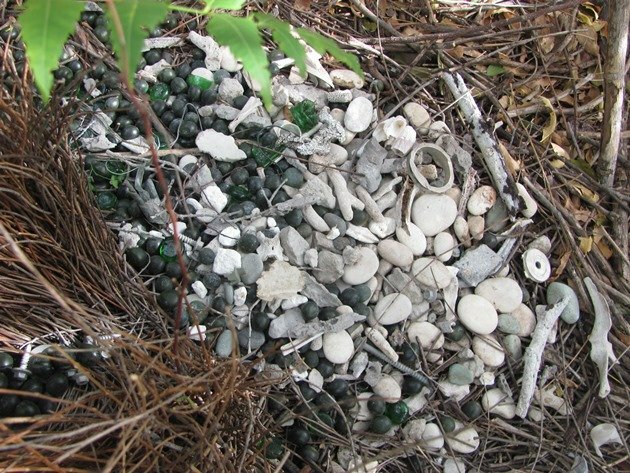 They will surround the bower and the central area with a variety of objects and the objects vary greatly depending on the location. 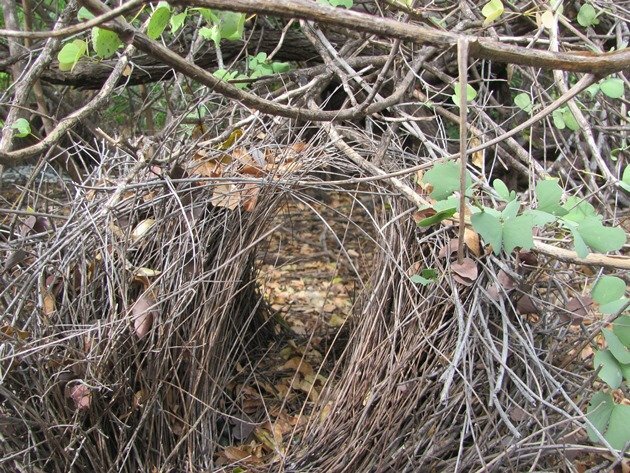 Once you know the location of a bower you can return year after year and discover the new location close by. No doubt after our cyclone season it is easier to start from scratch rather than try and repair a damaged bower. It is unclear if they start with new sticks or use sticks from the old bower initially, but they definitely do take sticks from the old bowers at some stage of the building process and often very little remains. Almost all of the objects are moved across to the new bower and they are constantly being moved around to perfect the arrangement. 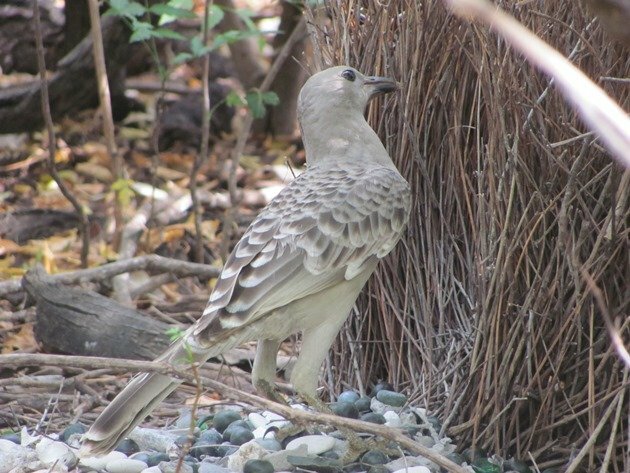 A good tip for finding a bower is to look around an area where you see and hear numerous Great Bowerbirds calling with their screeching racket. That is exactly how we first found this one years ago and it is a great spot to return to and see the changes on a regular basis. You may recognise some items from other year’s in this years bower! 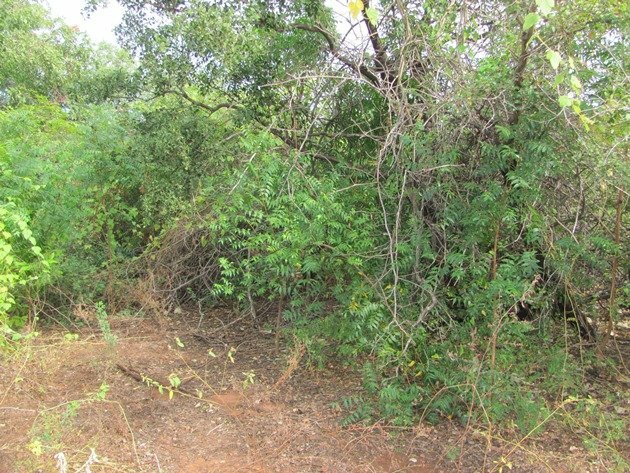 The front and back of the bower in the area that we often visit in Minyirr Park has plentiful white and green objects and the central area is full of dry green seeds. 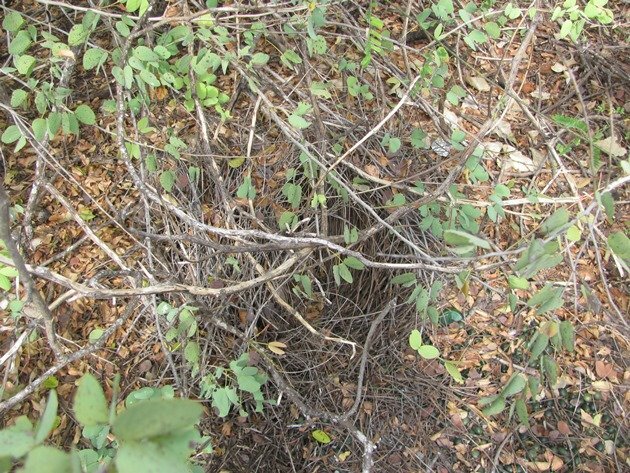 Sometimes the area around the bower is quite open and other times it is quite dense. There are currently two old bowers about two metres apart and they are gradually being reduced to a few upright sticks and will likely be completely demolished in a few weeks. 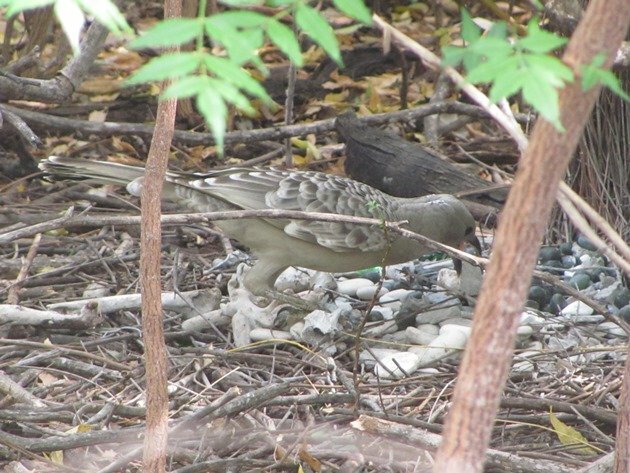 On my visit this week there were three Great Bowerbirds busy constructing and rearranging the sticks and the various objects around the bower. They all work together to achieve the one goal of attracting a mate. 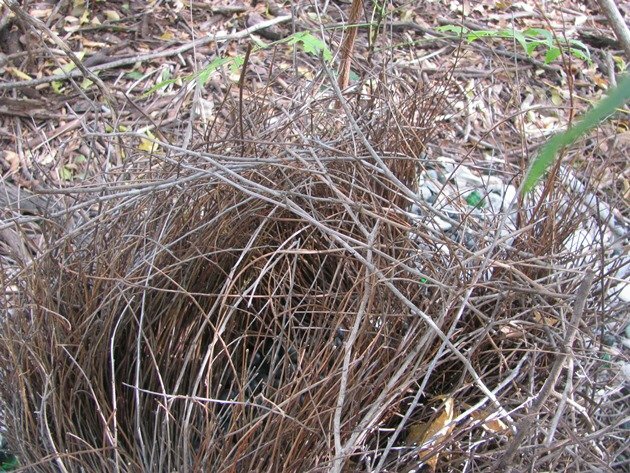 The bower is only used for this purpose and it is not a nest site. I am not sure if they actually ever “finish” construction or rearranging, but they are constantly trying to improve on their workmanship. There was equal concern on the upright sticks as well as the objects around the bower. 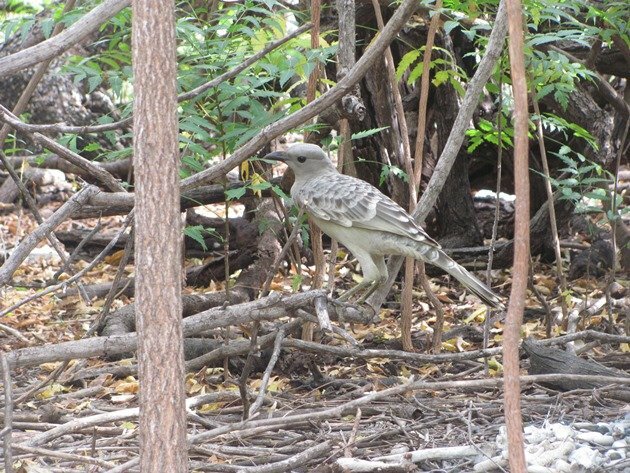 The Great Bowerbirds were not bothered by my presence at all as I sat quietly in the bush and they made all of the noise. I watched them busy with their rearranging of sticks, rocks, bones, screws, marbles, glass beads and various other objects taken from the nearby surrounding houses and bush. When they were at the back I could not easily observe the bird, but I could clearly hear the clinking of glass. One big surprise was when one suddenly appeared carrying a sprig of flowers! 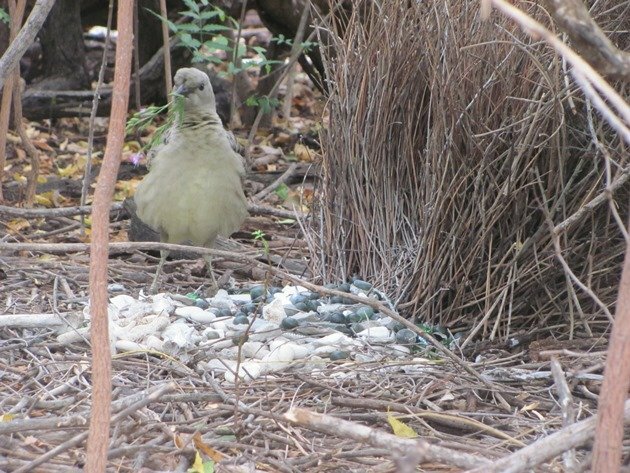 I had no idea a Great Bowerbird might bring flowers! There’s always a surprise in the birding world and this was quite a treat. 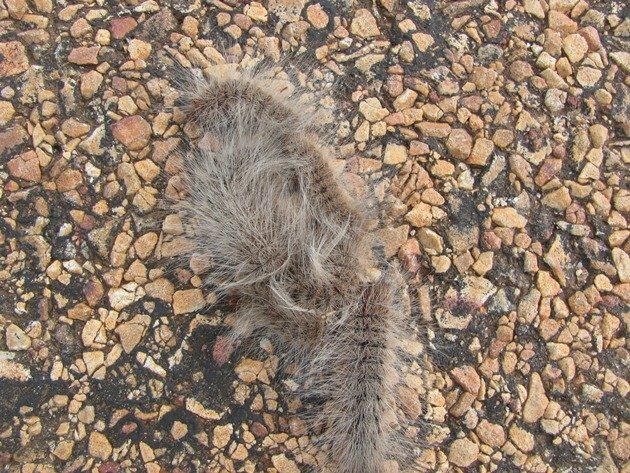 It is also the time of year that processionary caterpillars are on the move and a dangerous move it can be. As I cycled along I saw a procession attempting to cross a busy road and I noted that there had already been some carnage before they even made it to the first white line. There was some caution among the leader caterpillars and some were breaking from the line and rebelling. They were the smartest caterpillars because an hour later when I returned on the other side of the road it appeared only one caterpillar had made it all of the way across and the rest were embedded into the bitumen. 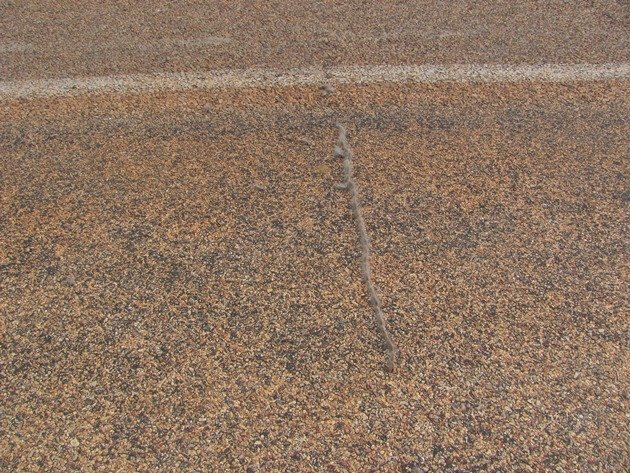 Some of these lines can be as wide as a road, but ideally they should not cross a road if they aim to survive to become Bag-shelter Moths. Great post! What an incredible experience to see Bower Birds fixing their sticks and carrying objects to display. The flower is most amazing of all!